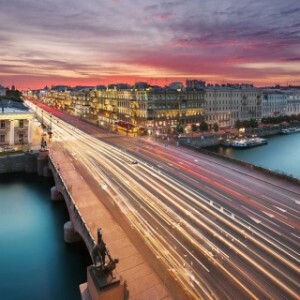 Deriving its name from Alexander Nevsky Lavra, Nevsky Prospect is the main avenue of the city and one of the best-known streets in Russia. It connects Alexander Nevsky Monastery with the Admiralty, the official city center of Peter the Great’s time. 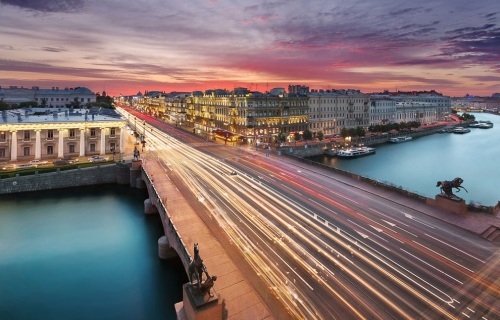 Lined with the finest buildings, dating back to different times, the avenue today functions as the main thoroughfare in St. Petersburg, offering numerous sights and the best of city’s shopping and nightlife. The imposing neoclassical Kazan Cathedral is located directly on Nevsky Prospect, while no less impressive St Isaac’s Cathedral and Cathedral-on-the-Blood are right off it.